Kerry’s dream of performing her first solo concert at the London Palladium materialised in May 2013. The concert was such a huge success that it sparked a desire for her to reach out to all her fans by taking it up and down the country. Celebrating her theatre career and singing songs from all the roles she has created and played made for a thrilling evening. Kerry performed thirteen dates across the UK finishing at The Cadogan Hall. Kerry Ellis quickly established herself as a rising star with lead roles in London and on Broadway, and she has achieved chart-topping success as a recording artist. Her debut album Anthems was released in 2010 on Decca Records. The success of the album, which reached No.15 in the UK album chart, and No.10 in the UK pop club charts (for Defying Gravity), led to a major tour Anthems with Brian May of Queen. 2012/13/14 also saw Brian and Kerry return with sell out tours throughout the UK and Europe. Not one to keep idle she also starred in the Arena tour of Jeff Wayne’s War of the Worlds alongside Jason Donavan and Ricky Wilson of the Kaiser Chiefs at the end of 2012. Kerry originated the role of Meat, in Queen’s We Will Rock You and was the first British Elphaba in the West End smash, Wicked, for which Kerry won the 2008 Whatsonstage.com Award for ‘Best Takeover in a Role’. She then immediately transferred to Broadway and played Elphaba at the Gershwin Theatre for 6 months, where she won the Broadway.com Audience Award for Favourite Female Breakthrough Performance, before returning to London for another 6-month stint in 2009. Her many other leading role credits include Nancy in Oliver! at the Theatre Royal Drury Lane, Eliza Doolittle in My Fair Lady, Ellen in Miss Saigon and Fantine in Les Miserables. 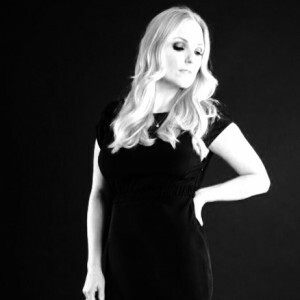 Kerry completed her second album which is a collection of musical theatre tracks and some more contemporary ones which tied in with her first headline UK tour. This was in association with Pledge music allowing loyal her fans to be part of the process. During this time Kerry was thrilled to be asked to return to the Apollo Theatre to reprise her role of Elphaba in Wicked for a limited run. Since Kerry took over from Nicole Scherzinger as the role of Grizabella in Cat’s in 2015 at the London Palladium. Also in June this year continuing her long term working relationship with Brian May she performed to a 12,000 seat Arena in Verona which was televised across Italy.